Born August 11, 1960, in Tell City, Indiana, he was the son of the late George and Marie (Bennett) Howell. He was married to Delight Robbins on March 10, 1984. Jerry had been employed by Mobile Corp. and enjoyed his grandchildren, car racing and rebuilding Mustangs. 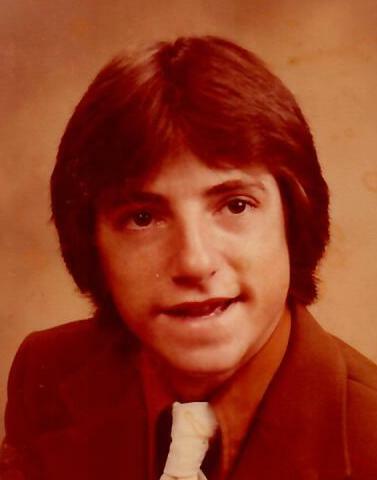 In addition to his parents, Jerry was preceded in death by, a brother, George, nephews, John and Phillip Howell and a brother-in-law, Larry Goffinet. Funeral services will be held at 2:00 pm Friday February 1, 2019 , at Zoercher-Gillick Funeral Home with John Smitson officiating. Burial in Greenwood Cemetery. Visitation will be on Thursday from 2 pm to 8 pm at the funeral home and from noon to service time Friday. Expressions of sympathy may take the form of donations to Tell City Wrestling Club.